HOUSTON, May 16 (Xinhua) — China has unique advantages in helping small American companies grow and develop, Mitchell Stanley, chairman of the National Center for Sustainable Development (NCSD) told Xinhua here Tuesday. 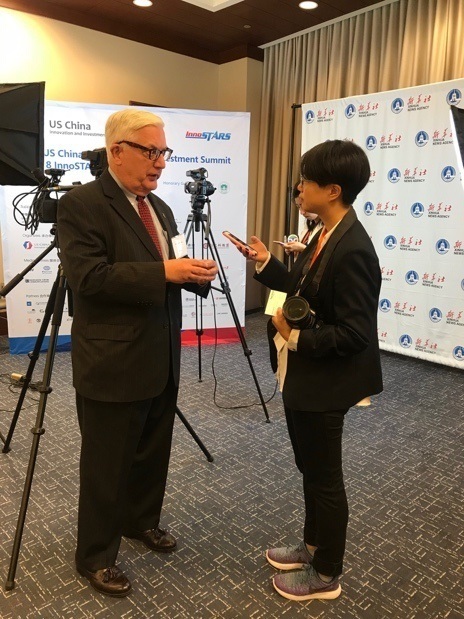 During an interview at the third U.S.-China Innovation and Investment Summit (UCIS), Mr. Stanley said China has the right regulatory approach to developing businesses. “It also has the right abilities with resources, such as capital, and other incentives to grow businesses, and, frankly, a welcoming hand for American small businesses,” he added. The NCSD signed on Tuesday a memorandum of understanding with EnergyWorks, a small U.S. company working on turning waste into useful products. Mr. Stanley believed that with environmental concerns increasing in China, EnergyWorks’ technology will be a perfect match for the Chinese market.”The company has tremendous potential for helping China overcome many of its problems, as it begins to grow exponentially, in need for both food and energy while keeping the environment relatively pristine,” he said. President and CEO of EnergyWorks Patrick Thompson said: “China, with its new central government policies to prioritize quality and environment, recognizes the need for the kind of solutions that we have. We think it’s a great opportunity for our company to participate in the changes that’s going on in China.” The two-day UCIS, which ended Tuesday, featured a range of events, including innovation forums and B2B matchmaking, among other activities. The summit not only enabled Chinese entrepreneurs to learn about the development of science and technology in the United States, but also allowed for contact with American companies. The UCIS was listed as the one of the key programs in the area of science and technology under the first U.S.-China Social and Cultural Dialogue, which was co-chaired by former U.S. Secretary of State Rex Tillerson and then Chinese Vice Premier Liu Yandong in 2017.